Nestled in the heart of the Costa del Sol region, Mijas is one of Spain's treasured locations which is loved by locals and expats alike. If you're considering moving to this area, there are many reasons why it would be a fantastic choice. Check out our top five below. When you think of a traditional Spanish town, Mijas is likely what you will imagine. Mijas itself has several distinct areas that ensure anyone can find their perfect spot. 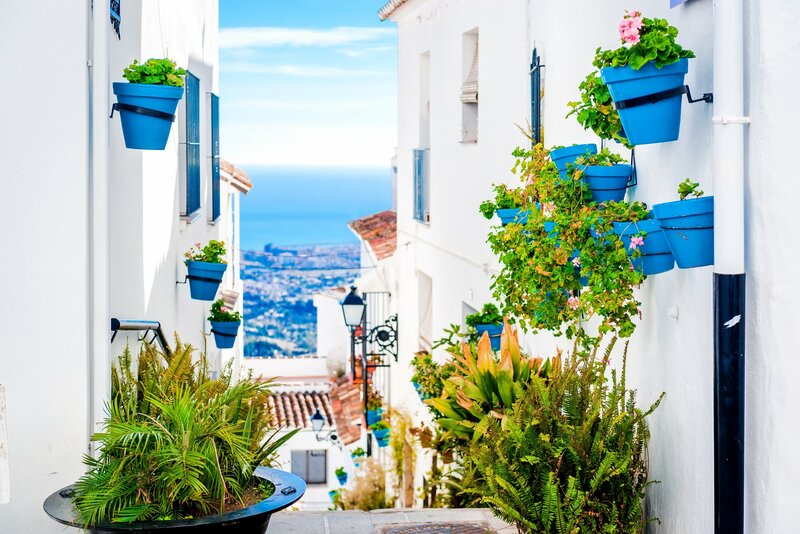 Mijas Village and Mijas Pueblo are gorgeous areas along the Sierra de Mijas hillside home to the famous white houses and terracotta-coloured roofs Andalucía is known for. Cosy, narrow walkways adorned with hanging flower baskets and delicious local cafes make every day feel like a dream. Along the coast is La Cala, a more modern location which boasts over 12km of coastal beauty with an abundance of beaches for all preferences. Anyone who lives here will tell you about the stunning countryside and coastal areas for hiking and exploring. The area is also known for its fantastic Mijas Golf Club, an array of beautiful diving spots, and beach activities that can be enjoyed at almost any point in the year. Mijas has a multitude of incredible historical areas to discover. The area was a well-known trading destination during the Roman Empire which has led to many cross-cultural influences. For many years Mijas also suffered from pirate activity which led to the creation of watchtowers which still stand today. Now, there is a famous miniature museum, a contemporary art centre, as well as beautiful castles and churches from centuries past. Because of its location, the population of Mijas are extraordinarily relaxed and easy-going. 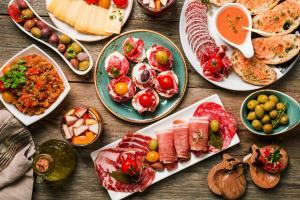 As well as long, relaxing meals with family and friends, the siesta continues to be a staple of Spanish culture that is appreciated and enjoyed by anyone who lives there. Despite its growth in recent years, there is still a strong sense of community that ensures everyone is treated with respect and kindness. This combined with the yearly sub-tropical climate makes living here feel both warm and inviting. Mijas is a very popular area for many people both native to Spain and from abroad. Along the Andalusian coast, Mijas is the most rapidly growing area which is enjoying over 13% of increases in home values. If you are considering moving there, there is no better time to make the investment while prices are still comfortably low and prime properties are still on the market. Because the area is showing little signs of slowing down, the whole community is expected to benefit for quite a few years to come. Mijas, Spain is a gorgeous part of the country that has both a rich history and sublime culture. If you are still unsure, look through our properties and book a holiday out there to visit your top picks. It's likely that once you go there you'll find the perfect place to call home.